GWERU – Residents have warned that erratic water cuts being experienced will force them to organise street demonstrations, accusing council of not taking the crisis seriously. Speaking during a stakeholders meeting held in Mkoba recently, Gweru Residents and Ratepayers Association (GRRA) president Cornelia Seliphiwe charged that council was not taking the people’s suffering seriously. “We are afraid that we might have another case of typhoid in the city and we feel short-changed by council which is failing to rectify this problem when we are paying our rates every month. We need an urgent solution before we get fed up talking,” Seliphiwe said. A Mkoba resident said she was disappointed that water bills were not declining despite persistent water cuts. “Our bills remain high despite the water cuts we are facing. We often go for four days without water but when your bill comes, it’s the same thing. This is tantamount to pushing us into the streets to demonstrate,” she said. 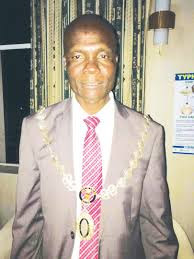 In response, Gweru mayor Josiah Makombe said it was untrue that council was not worried, saying councillors had already directed management to fix the problems and communicate with residents regularly. “I have already taken my management to task to look at the issue of water cuts because I am as much worried and disturbed by the situation as everybody else. “We often get information on burst pipes and blocked valves. We are working hard to restore ordinary water supplies,” said Makombe. City of Gweru recently announced it was drafting a strict water rationing regimen to ensure that areas that have known no piped water for many years will have at least a day’s supplies per week.